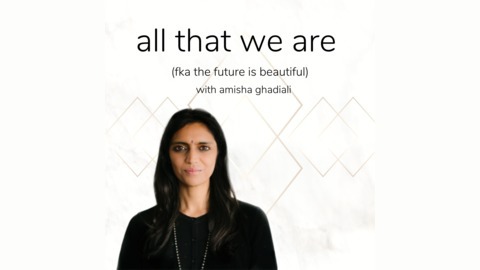 Welcome to The Future Is Beautiful with Amisha Ghadiali. On this show we explore the weave between politics, spirituality, creativity and sustainability. The people, projects and ideas we meet here are challenging the dominant world story and creating a beautiful future. We share a new interview every Thursday. Every one of us has ideas and personal experiences to share that can lead us to a brighter future. Our global future is created by all of us, together. The Future Is Beautiful is the start of a new conversation for making that happen. How will you create beauty in the world? Discover more about our book and podcast at www.thefutureisbeautiful.co. Since playing footsie with Gabrielle Roth - the founder of 5Rhythms - as a child in a New York restaurant, Daniela has been on a profound personal journey with movement: finding her purpose in the place where her greatest pain and her greatest joy meet. Daniela speaks to us about embodiment and movement: what it means to her, how it can transform lives and how we can incorporate it into our daily lives. 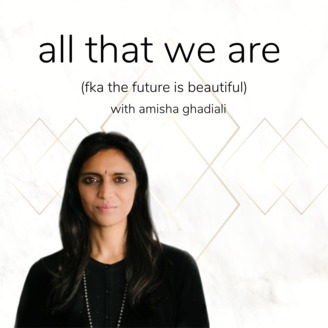 She speaks about the deep integration that happens when we align our mind and body through conscious movement and how we can tap into the intelligence of our body to help us navigate decisions in our lives. Together Amisha and Daniela share stories of healing and releasing trauma through movement, visualisation and deep listening to the body.